Who could have seen this coming? Thirty two years since they first emerged as the enfants terribles of the New York music scene, Swans have just delivered the year’s most uncompromising, thundering and blindingly brilliant album so far. Nothing even comes close to this;To Be Kind is two hours of music of gut-wrenching intensity, a series of never-ending peaks that take the rudiments of rock music and summons up something that is strikingly original. With To Be Kind, Michael Gira and his cohorts have delivered an album that surpasses their critically acclaimed 2012 release The Seer in all respects. 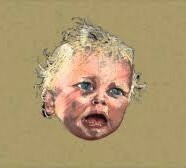 The days when listening to a Swans record was something of a masochistic experience, a brutal form of aural punishment are long gone; To Be Kind is arguably their most accessible album while still challenging and demanding more from the listener than any other rock band would dare to. It’s a record that requires patience – two hours of music spread over just ten tracks with every minute resonating with a clarity of purpose and a vibrancy beyond the capabilities of most contemporary rock acts. Michael Gira turned sixty this year; it is incredible to think that he is still making albums as edgy and vital as this while his peers have settled for the merry go-round of endless greatest hits tours and lame rehashes of past glories. Picking out highlights on a record as consistently brilliant as this is almost pointless – the slow, low slung blues of ‘Just a Boy (for Chester Burnett)’ and the manic ‘A Little God in My Hands’ with its long blasts of dissonant horns set the tone – Gira prowls, growls and yelps his way through these tracks, utterly convincing as some kind of deranged shaman. ‘Bring the Sun / Toussaint L’Ouverture’ is an extraordinary piece of music – it crashes in on a wave of distorted power chords setting us off on a wild thirty four minute ride that builds and builds to a euphoric high before collapsing into some kind of atonal hell. This is the centrepiece of the album and pretty much sums up what Swans 2014 are about – rock music on their terms, a mix of the sacred and the profane with Gira as the conduit, roaming free over the expansive soundscapes created by the band. ‘She Loves Us’ is as taut as a tightly wound spring, ratcheting up the tension and drama utilising minimal chord structures and single note drones. ‘Kirsten Supine’ pushes the tension beyond breaking point, as it climaxes in a cacophony of de-tuned guitar noise and cymbal crashes while ‘Natalie Neal’ locks into a tight groove while guitars rain sparks of fire and brimstone. ‘To Be Kind’ is not going to appeal to everyone – it requires a level of patience that we are not accustomed to in a time when the demand is for instant thrills and gratification. But there is something to be learned from the perseverance of a band that have spent three decades getting to the point where they could create something as special as this. Close the book on album of the year, it’s already before us. To Be Kind is a stunning riposte to those who claim that rock music has lost the capacity to excite and amaze.